Some stories just deserve to be seen by everyone. DC Comics is known for many things, most notably their gallery of characters, but the one thing you can't deny is that they know how to tell a story. 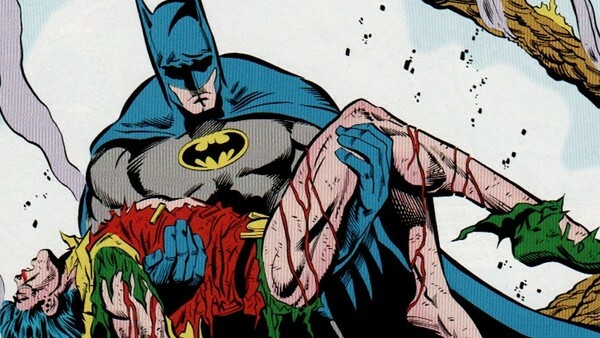 You can ask any comic book fan on the street if they know a DC story-arc and, most of the time, they'll reply with either The Death of Superman or The Killing Joke. Those two, however, are just the tip of an iceberg in a vast ocean of history. There have been elements of DC stories being incorporated into films on countless occasions. The Dark Knight had some inspiration from The Long Halloween where Harvey Dent becomes Two-Face, and The Joker corrupts his mind, The Dark Knight Rises clearly had inspiration from Knightfall as Bane breaks Batman's back, and Dawn of Justice's big fights showed traces of both The Death of Superman and The Dark Knight Returns. There are still dozens of fantastic stories Warner Brothers should adapt to the big screen however, and with the DCEU set to enter its fifth anniversary this June, it's time we take a look at some of them. My name is Blake Whitehouse and I am a 21 year old from Indiana in the United States. My love of Star Wars, wrestling, DC Comics, Pokémon, video games, and basic knowledge of anime have led me to where I am in life.